September to December was spent incredibly busy with commissioned paintings so I have not had much to share (or the time to do it!) over the last few months, need to get back in the swing of blogging again! 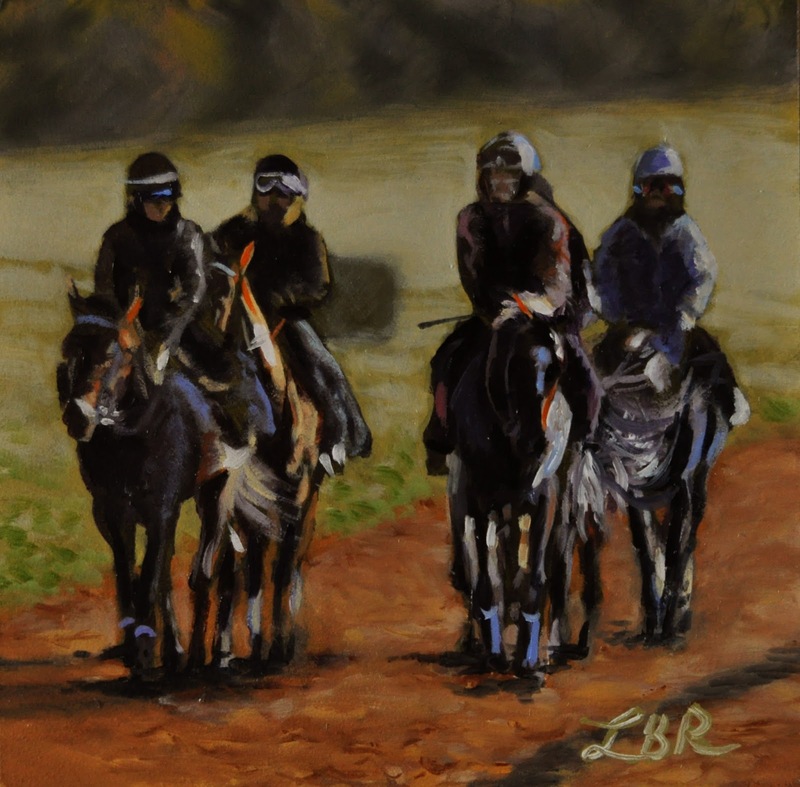 Above is my first finished painting of 2013, a very little 6" x 6" study based on the wonderful images I took back in September on the gallops at Newmarket. 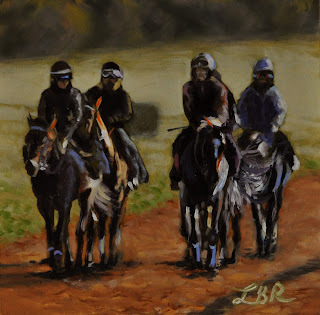 I have several larger originals based on my Newmarket images planned so have been doing some preparatory paintings of which this piece is one. I'm currently working on a special commission for a friend, and a snowy original painting that I hope will turn out well enough to have Christmas cards printed this year. I have an exciting (challenging!) beach based commission to get stuck into next and plenty of original paintings to transfer from mind to canvas too. 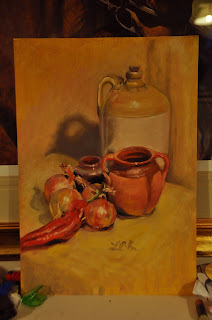 Hoping to keep a nice healthy balance between commissioned work and originals this year; it's always an honour to paint for other people but I also need to get my work out there at more exhibitions too. Looking forward to doing LOTS of painting from life in 2013, below is a still life painting I produced a couple of weeks ago at a workshop with friends. Off to Devon for a whole week in June with The Society of Equestrian Artists which I am super-excited about in particular. My youngest, Henry, turned 3 before Christmas so now goes to preschool 5 mornings a week- he is loving his time there and I'm loving the extra painting time and riding time I now have! 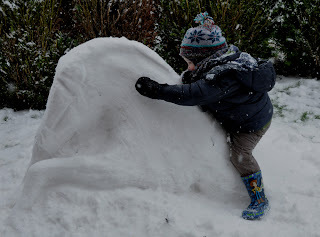 Speaking of Henry, below is a photo of him jumping his snow pony recently! Check out the Society of Equestrian Artists Facebook Page for lots of FAR more impressive equine snow sculptures!